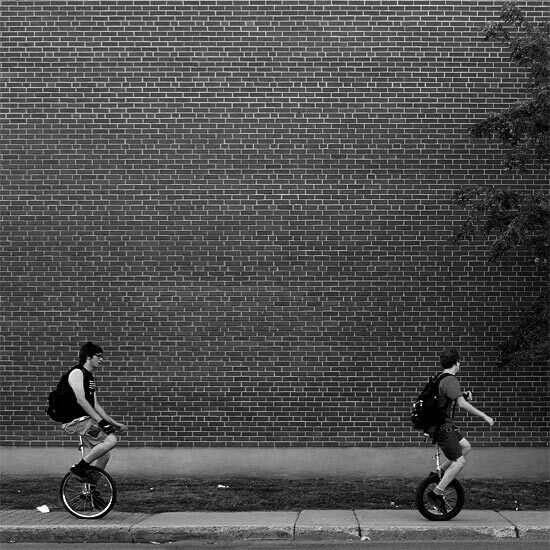 I was in my car when I spotted 3 unicycling fellas (one of them is missing from this final pick). It took me many attempts to finally be able to properly frame those 2... It may not look like it but these things can reach a pretty decent speed ! Very nice capture, the cyclists just coming in and out of the frame. Haha ... really nice find. Nice site, too! Nice nice nice.